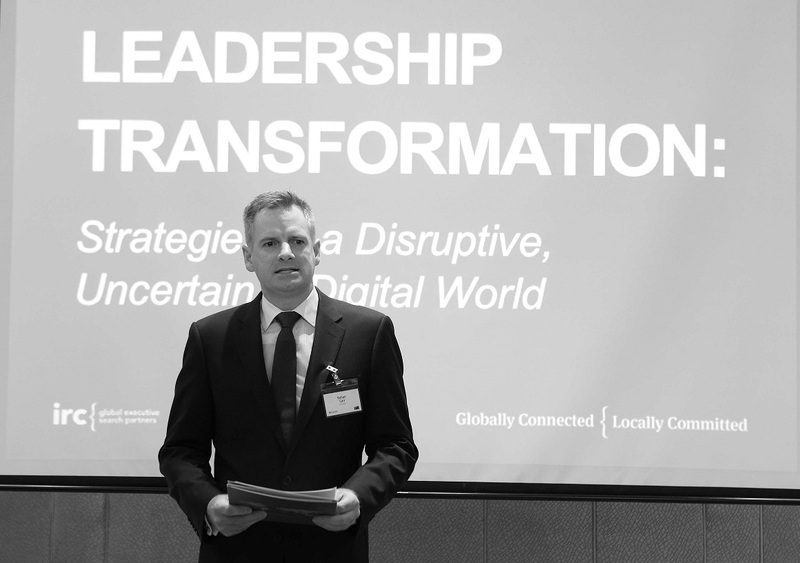 At a recent IRC leadership event in Singapore Mr Vivek Bhatia, the Asia Pacific Regional CEO of engineering giant Thyssen Krupp, spoke on leadership transformation. Specifically, he explored the key requirements of successful leadership within the 4th industrial revolution; the digital age. As with industrial revolutions past, the core focus remains the creation of value. However, the difference now is the ‘VUCA’ world in which we operate – one which is Volatile, Uncertain, Complex and Ambiguous. This has an impact at all levels: political, social, economic and environmental. Of course, leaders do not have the luxury of dealing with each of these one at a time and so the challenge is weaving the four into a concurrent narrative. The other challenge comes from the fact that change impacts organisations at such a high speed and from avenues not previously expected. In addition, while technology is a great enabler, when it comes to leadership, as a tool it can sometimes be more of a hindrance than a help. In the time of Industry 4.0, it is the capacity of leaders to transform their organisations, enabling them and their teams to adapt to the changing environment which will be the true mark of sustainable success.